On the eve of the Protestant Reformation, the institutions of the Holy Roman Empire were widely thought to be in need of improvement. The Habsburg emperors Frederick III (r. 1440-93) and his son Maximilian I (r. 1493-1519) both cooperated with individual local rulers to enact changes. However, the imperial and local parties had different aims, the former wishing to strengthen the empire, the latter aiming to secure greater independence by formalizing their rights and ensuring regular procedures for the conduct of public business. In 1489 the procedures of the imperial diet, the Reichstag, in which representatives of all states within the empire met, were reorganized. One of the reforms allowed participation in the diet by representatives of the towns. 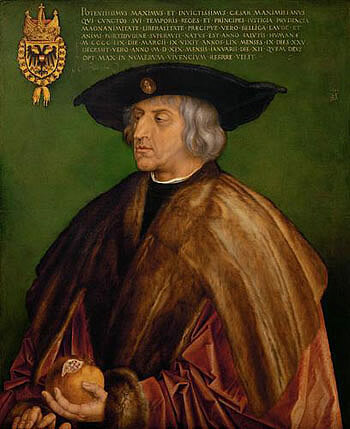 In 1495 Maximilian declared an empirewide peace and made arrangements to reduce the lawlessness and violence that often marked relations among local rulers. Maximilian's reforms were not enough to cure the ills of the empire, and relations between it and the princes and ecclesiastical states often were tense. Disputes frequently involved complicated constellations of powers with occasional interference from abroad, most notably France. 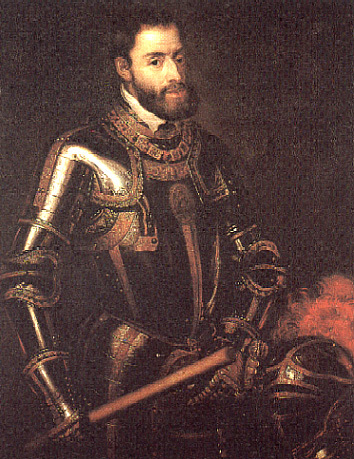 Charles V (r. 1519-56) was elected emperor in 1519 only after he paid large bribes to the seven electors and agreed to many restrictions on his powers, restrictions he often later ignored (see fig. 3). A changing economy also made for discontent among those unable to profit from new conditions. Some of the empire's inhabitants had become quite rich, most notably the Fugger family of Augsburg, whose members had replaced the bankers of northern Italy as Europe's leading financiers. The Fuggers had come to manage the financial affairs of the Habsburg Dynasty, which, in combination with increased trade between south and north, made Germany Europe's financial center for a few decades. However, other groups in Germany were experiencing hardship. A burgeoning rural population found it difficult to get enough to eat, and many peasants went to the towns to seek a living. Municipal officials responded by seeking to bar rural newcomers. Within towns that were not prospering, relations between the classes became more tense as social mobility was reduced by a declining economy.